Outlet Mall Ashibinaa Looking for high fashion brands on sale? 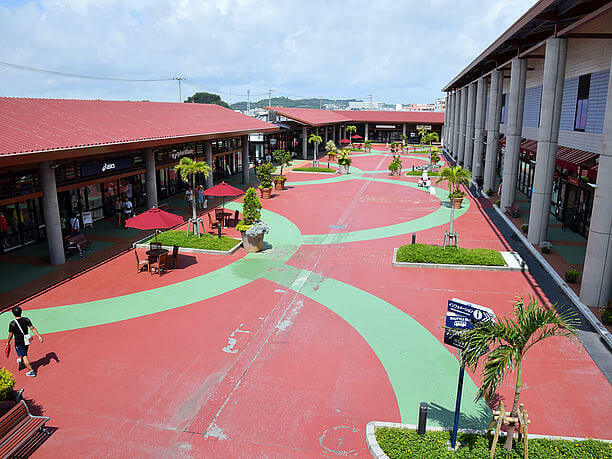 “Okinawa Outlet Mall Ashibinaa(沖縄アウトレットモールあしびなー) ” is the southernmost outlet mall in Japan, and is about 15 minutes from Naha Airport. 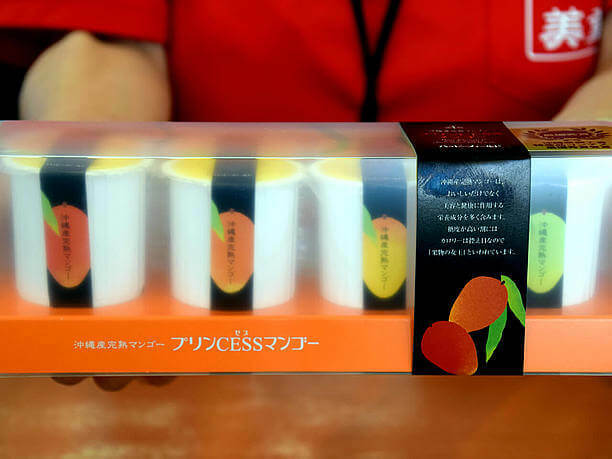 This huge facility gathers brands from about 100 stores around the world. Guests can enjoy shopping at a great price. 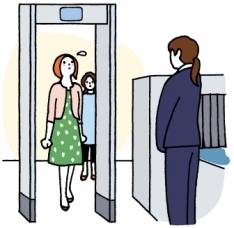 I will introduce five points that I’m sure you will be happy to know before you go. Carrying from designer brands to casual items. These grounds are lined with more than 100 shops. 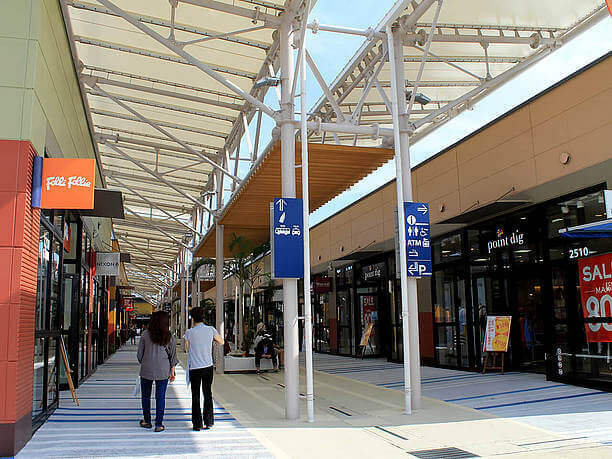 Although typical outlet malls are often in suburban areas, Ashibinaa is in a close and convenient location, only 15 minutes by bus from Naha Airport. Since the large parking lot is located directly adjacent to the shops, you don’t have to worry about walking a long period of time in the scorching sun. A little tip for you, you can get the facility map written in English at the front gate. After checking the map, you are ready to head to the shop you are looking for. This mall has both Japanese and world famous brand shops. Marc Jacobs and Vivienne Westwood started their first outlet stores in Okinawa. This is the perfect place to buy luxury dresses and accessories to wear resort hotels. 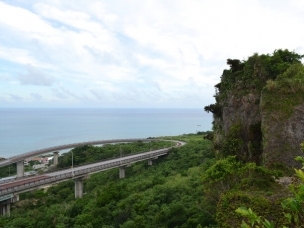 United Arrows has arranged special prices for Okinawa. You can purchase their brand items at 20% – 30% OFF their usual price. 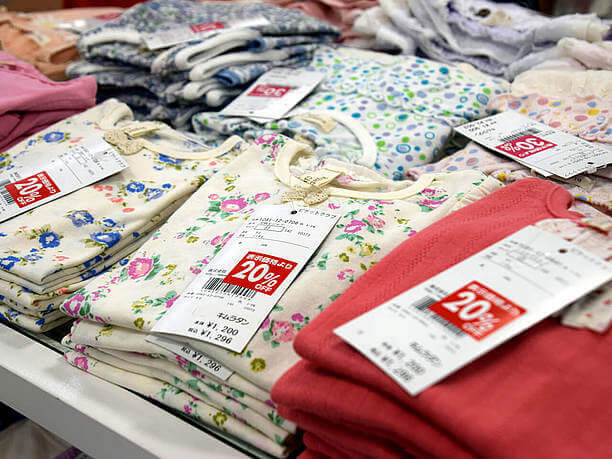 If you are lucky, you may find items you like marked down as much as 70% off. In addition to the outlet shops, you can shop in local stores. 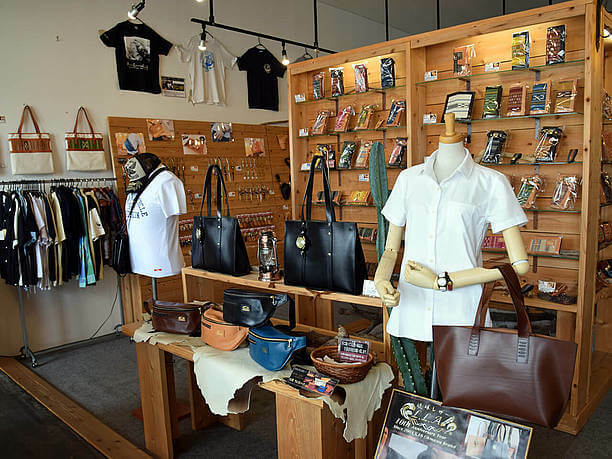 “Ryukyu leather LLA”, a store that originated in Okinawa is sells leather products made by skilled craftsmen. texture of quality tanned leather. There are cute shops named “daisy” that carry accessories brands that use natural stone and coral in beautiful combinations. 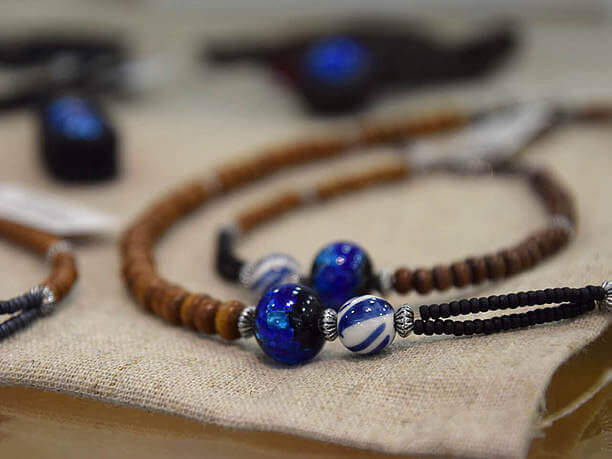 Such as bracelets and earrings decorated with original glass beads, “Firefly glass (ホタル玉).” I can feel the blue sea of Okinawa with these designs. 4.Tired of shopping? 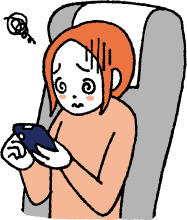 Let’s go to Haragoshirae! Normally the food courts at outlet malls are crowded, but since each food and drink shop are independent in Ashibinaa, you can take your time and enjoy a leisurely meal. 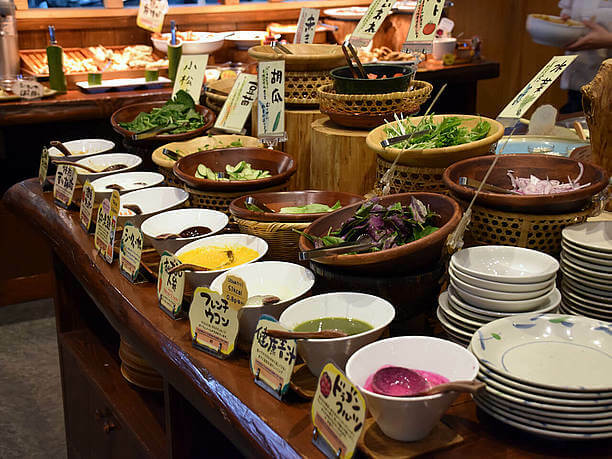 “Okinawa vegetable garden buffet Karakara (沖縄菜園ビュッフェ カラカラ)” can be enjoyed with buffet that uses more than 80 kinds of food. 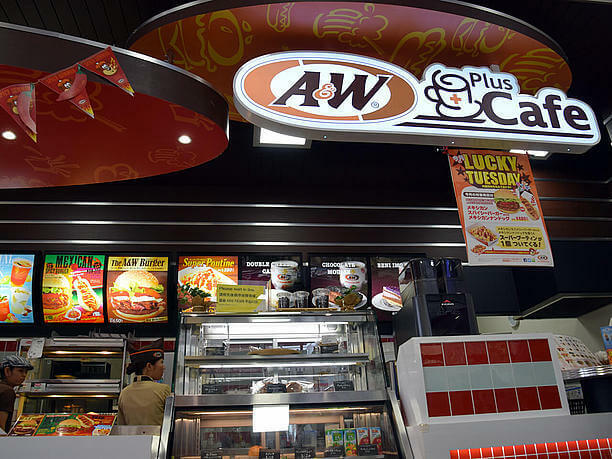 “A & W” is a great place to rest and enjoy a light meal. Although you can buy the regular goods year round at outlet price, you can get even better deals in October and March. This is the time of year that the stores are stocking up with new products so they are willing to sell the old items really cheap. 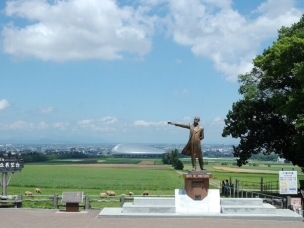 There is also an opportunity to enjoy extra-long spring and summer sales due to the long Okinawa summer season. 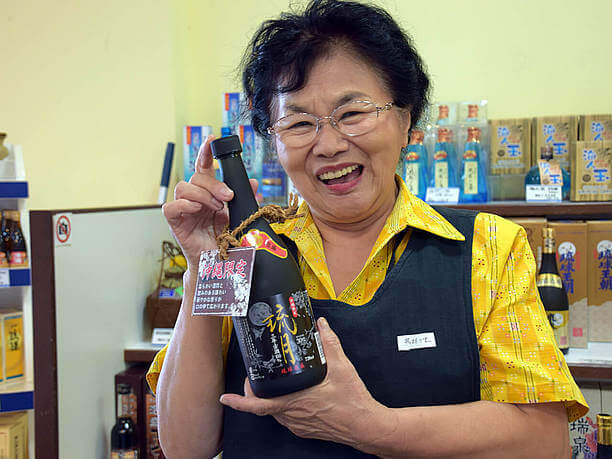 Ashibinaa has some souvenir shops selling Okinawan products such as Awamori, brown sugar and many more. 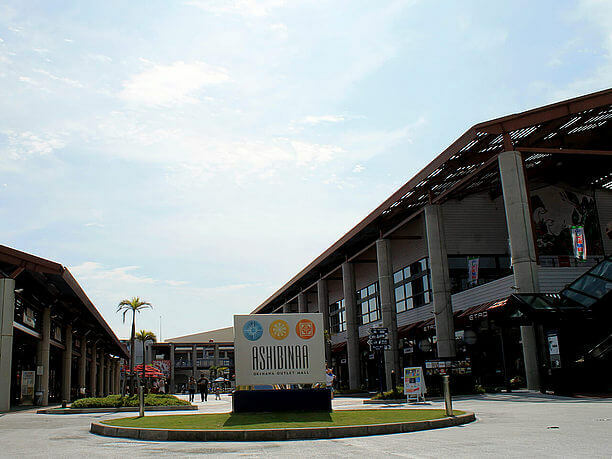 So spend the last day of your trip doing all your shopping at the “Ashibinaa Outlet Mall!” Then you can feel wise and happy because of all the money and time you saved. Free coin lockers and strollers. A children's corner to play in. Family oriented service. You can get the facility map written in English at the front gate. Road Station Toyosaki(道の駅豊崎) and Senagajima Umikajiterasu(瀬長島ウミカジテラス) are near the mall. If you have some extra time you should check them out! Sophisticated shops and restaurants to make adult women very happy. A state-of-the-art shopping center that is still evolving.